This style, with a 38 cm length, has a thin split leather sole with pleats, and no heel. It could be made with a full sole. (03224.) The elastic inset is on the inside of the boot at the top. 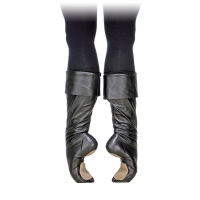 Ballet boots need to fit very closely and be snug on the feet, so they should be made to individual measurements. 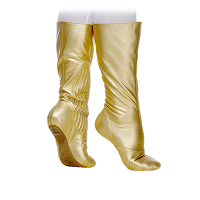 Material and Color: Black Velour, Black, White, Gold or Silver Leather. The style, with a 38 cm. length, has a thin split leather sole with pleats and no heel. Also available with a full sole. ( 03226) It could be made with: contrasting upper edging, other trimmings and applique, and inside lacing. 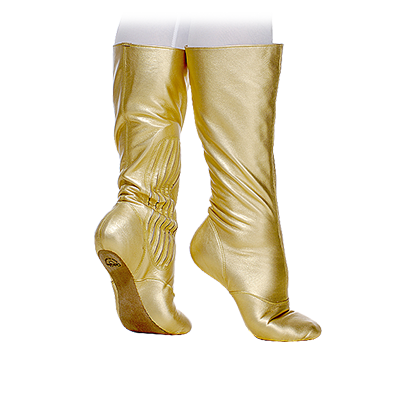 Ballet boots need to fit very closely and be snug on the feet, so they should be made to individual measurements. 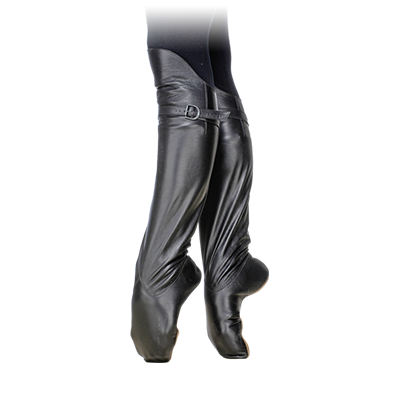 The style, with a 38 cm length, has full thin leather sole with pleats and no heel. It could be made with a full sole(03227). 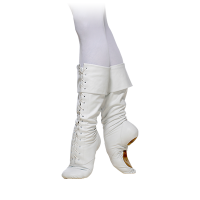 This boot features an elastic inset panel. 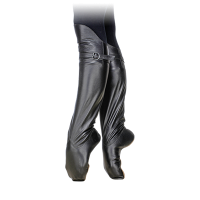 Ballet boots need to fit very closely and be snug on the feet, so they should be made to individual measurements. The style has full thin leather sole without pleats and heel. Tight top has no lining and zipper. 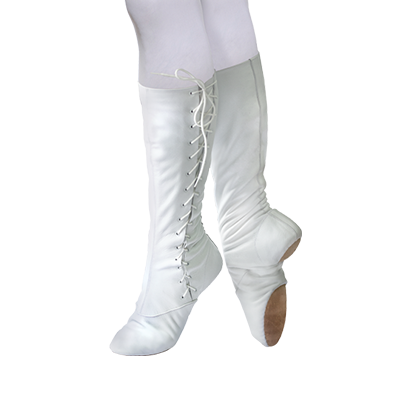 A strap is fixing boots under a knee. 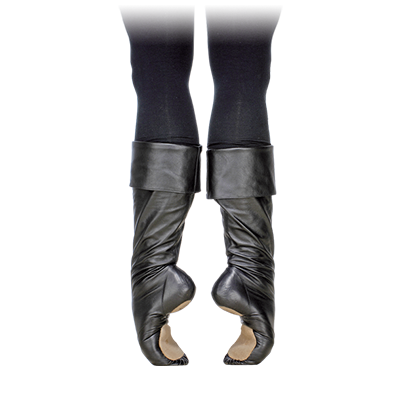 Ballet boots need to fit very closely and be snug on the feet, so they should be made to individual measurements. The style, with a 40 cm length, has a split leather sole without pleats and a heel. Lacing is on the outside of the leg. It could be made with lacing on inside and will a full sole. Material and Color: Leather – White, Black, Red, Pale Beige.